A certified nursing assistant, or CNA, delivers safe and quality care to patients under the direction of a licensed nurse. The role requires flexibility, commitment, and compassion, as CNAs must work long hours and a bear a strenuous workload. The daily duties of a CNA may include personal care, which covers bathing, dressing, and feeding patients who cannot do these tasks for themselves, and measuring vital signs such as blood pressure and respiration. 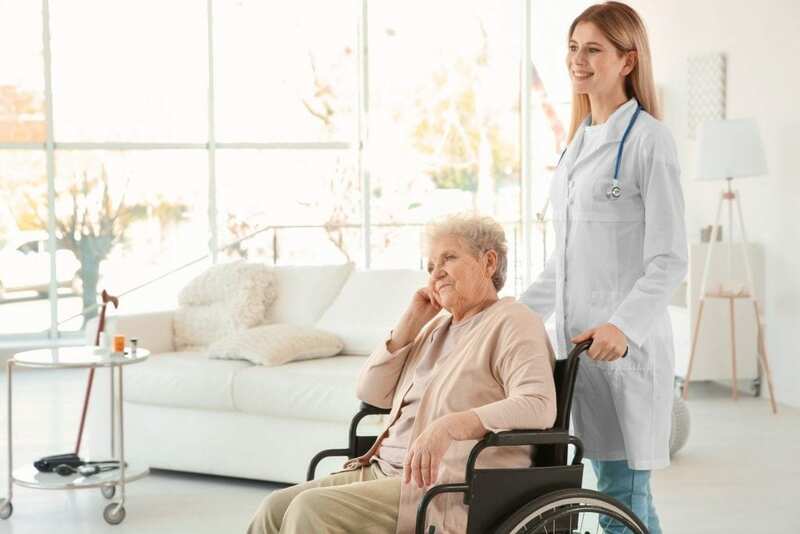 In long-term care facilities, CNAs might also serve meals, make beds, and keep patients’ rooms tidy, clean and set up medical equipment for procedures, observe patients’ condition, and respond to calls for help. Demand for Certified Nursing Assistants is expected to soar as the baby boomer generation ages. High turnover rates in the industry due to low wages in some states, poor benefits, lack of respect, and high injury rates also significantly contribute to the continuous demand for more CNAs. In an effort to retain the nurse aides in their employ, nursing homes offer continuous in-house training, respect from superiors, competitive benefits, and opportunities to take on more responsibility for higher pay. Efforts to create a friendly and injury free environment for CNAs combined with a genuine desire to care for patients are just some reasons many consider a career as a CNA a lifelong commitment. Impetus Career’s Certified Nurse Aide program comprises of modules designed to give adults the tools they need to provide direct care in a long-term care facility and succeed on the skills and written exams to become a Certified Nursing Assistant. The carefully planned and executed curriculum is approved by the New Jersey Department of Health and includes content, methodologies, and assessments based on students’ needed. Students are evaluated based on their readiness for the world of work. Areas of study include an introduction to nurse aide responsibilities, long-term care, physical needs, personal care, spiritual, recreational, and activity needs, safety and emergency response, infection control, vital signs, death and dying, the aging process, and body mechanics and transfer. The New Jersey State Nursing Assistant Program at Marie’s Allied Health covers a total of 90 hours. The entry-level curriculum includes classroom theory, hands-on lab, and clinical learning experiences to prepare students for success on the electronic exam to become Certified Nursing Assistants. 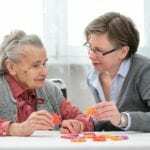 The program follows the state-mandated guidelines, which includes 50 hours of classroom lectures and 40 hours of practical experiences in a long-term care facility. The 50 hours of make-up time mandated by the Department of Health is also available on an as-needed basis for students to complete a module. Students who successfully complete the classroom theory and clinical practicum will take a skills exam to gain the eligibility to take the electronic certification exam administered by Assessment Systems, Inc. Day and evening schedules are available. The day program is 3.5 weeks and the evening program is 5.5 weeks. Course modules include Introduction to Long-Term Care, Role and Responsibility of the Nurse Aide, Communication, Resident Rights, Infection Control, Accident Prevention, The Aging Process, Emotional Support, Death and Dying, Caring for the Terminally Ill, Body Mechanics and Transfer, Vital Signs, and Diseases. In addition to tuition, students must pay for the skills and written test fees ($76). Checks or money must be made out separately to PROMISSOR. Middlesex County College offers free nurse assistant training for military veterans and low-income persons. Both the classroom sessions and clinical rotations will be conducted in the Roosevelt Care Center in Edison. The program is a wonderful opportunity for low-income individuals to start a career in a field where there’s much demand. Graduates will be eligible to take the state skills and written competency exams and will receive job placement assistance. The curriculum covers 90 contact hours: 50 hours in the classroom and 40 hours for clinical practice. The completion time is five weeks. The program is funded by two federal grants: the Trade Adjustment Assistance Community College and Training grant and the Health Professions Opportunity Grant. The grants cover all the cost of training and job placement assistance. Graduates who are interested in advancing their career, many use the CNA credential to enroll in licensed practical or registered nursing education programs or study for a career as a medical assistant. The nursing assistant training at Param Institute is designed for individuals who want to work in the high-demand field of health care. Graduates are eligible to take the skills and written exam to become a Certified Nursing Assistant and work under the supervision of registered nurses in long-term care facilities. Students must complete the entire 90 hours to meet the state’s requirements. Areas of study include the role and responsibility of a nurse aide, nutrition and feeding, personal care, basic nursing skills, range of motion, infection control, vital signs, perineal care, fluid intake and output, and observation and reporting. Students also learn the law and ethics that govern practice, patients’ rights, patients’ independence, safety and emergency procedures, and death and dying. The completion time for the program is five weeks. Applicants must have a high school diploma or equivalency and complete a TB skin test or chest x-ray.